TD Bank Group (TD) will become a founding corporate member - and the first Canadian bank - to join the Canadian Institute for Cybersecurity, a hub for cyber technology research and collaboration based at the University of New Brunswick. TD's involvement with the Canadian Institute for Cybersecurity supports the bank's focus on investing in technology talent and will include the co-development of new cyber risk management technologies. "We are building a digital bank for the modern customer," says Jeff Henderson, Executive Vice President & CIO at TD. "As the digital landscape evolves, we will continue to invest in technology partnerships and talent so that we can deliver innovative experiences that our customers can trust and rely on. The University of New Brunswick is fast becoming an international centre of cybersecurity excellence and we look forward to working with its multidisciplinary teams on real-world problems, while growing our technology talent base." The Canadian Institute for Cybersecurity, launched in early 2017 and housed at UNB’s Fredericton campus, is a comprehensive multidisciplinary training, research and development and entrepreneurial institute which operates in close collaboration with researchers in the social sciences, business, computer science, engineering, law, and science, as well as at other national and international research centres. The institute’s cybersecurity graduate students will work directly with TD technology teams to develop and operationalize new threat assessment methodologies and algorithms. As part of its global approach to talent development, TD also recently announced the opening of a cybersecurity office in Israel, a globally-recognized centre for cyber-defence technology and one of the world's leading markets for cybersecurity skills and talent. 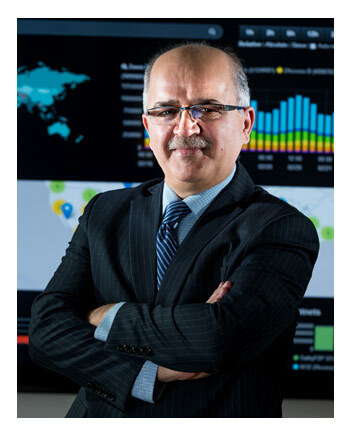 Photo: Dr. Ali Ghorbani, Canada Research Chair in Cybersecurity at the University of New Brunswick.